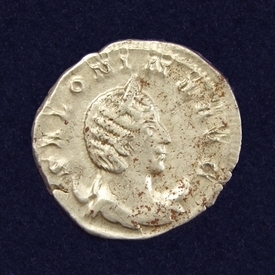 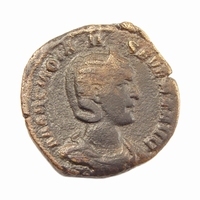 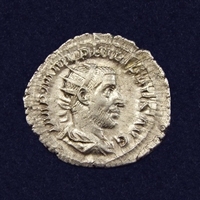 Imperial Issue, minted during the Joint Reign of Gallienus and Valerian I (253-259 AD). 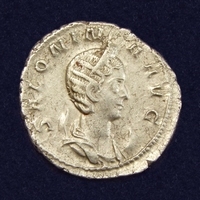 Obverse: Diademed bust right on crescent. 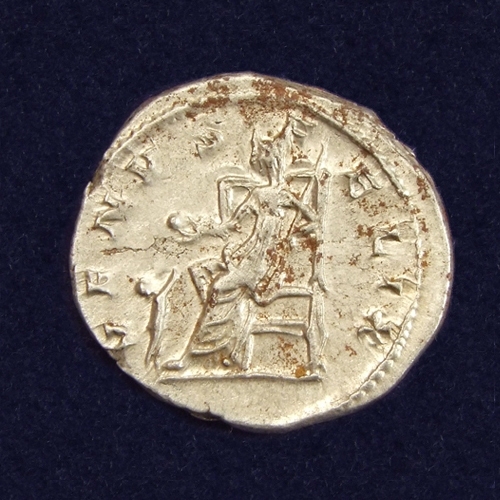 Reverse: Venus seated left, holding sceptre, reaching for child before her.